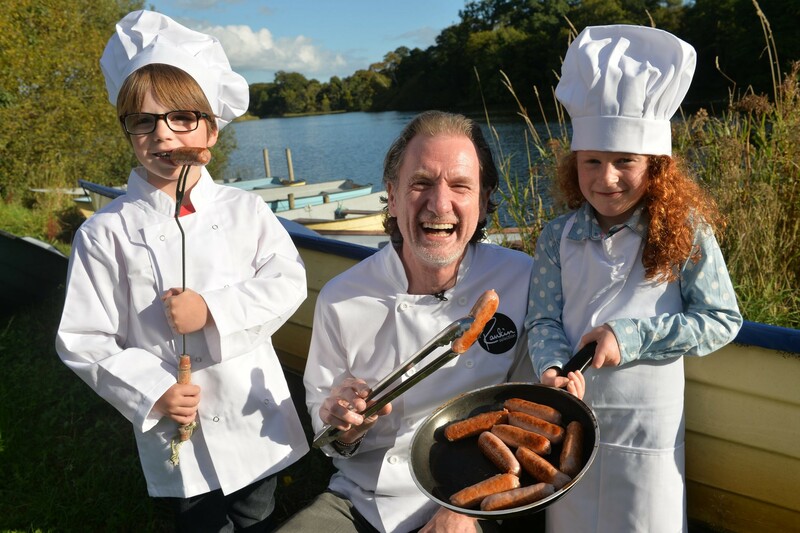 Budding young Manchester chefs are being called into the kitchen to cook up a culinary classic as leading Irish celebrity chef, Paul Rankin, today announced the launch of a national competition to find the UK’s best mini-chef. The leading chef, who is a regular on our television screens, will visit the Trafford Centre, Manchester, on Friday 16th October from 9am – 5.30pm as part of a UK roadshow introducing his new Rankin Selection Irish Family Sausage. Children across Manchester are being invited to take part in the competition which will involve mini-chefs devising their own new recipe using the new sausage and competing to be crowned the UK’s Rankin Mini-Chef. The national winner and their family will be treated to a trip to Belfast, Northern Ireland, to experience a family cookery lesson with the celebrity chef himself. On the back of a campaign to “save our sausage”, Paul Rankin has teamed up with a renowned artisan Irish food producer, Finnebrogue, to develop a new range of sausages with unrivalled taste, crafted to his own traditional authentic Irish recipe, with a higher, better quality meat content. He is taking to the road this month to encourage families to bring classic recipes back to the dinner table. “We’re launching the Rankin Mini-Chef Competition for young chefs to test their culinary skills and come up with a new sausage recipe for their family dinner table using the new Rankin Selection Irish Family Sausage. If you’re a young local chef and want to enter the competition, get down to the Trafford Centre on Wednesday 14th October from 9am – 5.30pm, where I’ll be on hand to give you some recipe hints and tips to help you cook up a sausage storm”, Paul commented. The Rankin Mini-Chef Competition opens on Monday 12th October and entries must be submitted by Friday 6th November 2015, when Paul will declare the overall UK Rankin Mini-Chef. Nine regional winners will be selected and their recipes showcased on the Rankin Challenge website www.rankinchallenge.com. The winner’s prize includes return flights and two nights’ accommodation in Belfast, Northern Ireland for the winner and their family*, courtesy of Tourism Ireland, and a chance to learn from the best with a Paul Rankin family cookery class. The prize also includes family entry to Belfast’s must-see visitor attraction, Titanic Belfast visitor experience. The competition is open to children aged 4-12. View full competition terms and conditions and how to enter online at www.rankinchallenge.com. Manchester mini-chefs are encouraged to join the challenge on social media via @Rankinselection using the hashtag #Rankinchallenge. For competition terms and conditions, visit www.rankinchallenge.com.